Chers lecteurs, tout d’abord, nous vous souhaitons une très belle année 2014. Et pour inaugurer ce mois de janvier, nous vous proposons de partager avec vous l’une de nos dernières belles rencontres avec l’adorable Hege, elle vient de lancer son blog il y a seulement quelques mois). Son nom : Fashion by Norway … Vu la thématique cela était donc indispensable de le faire figurer dans la rubrique Blogger Interview de Parisoslo.com. Parisoslo.com: What is your background? Hege: I am originally from Bodø, in the northern part of Norway. My aesthetic interest in fashion and interior design began early and I have worked many years in retail as a store manager. Later, I’ve worked as a wholesaler in a company called Bestseller. There, I got the opportunity to meet wonderful people and travel around Norway, and it gave me an opportunity to see a new side of the fashion industry. Now, I am studying creativity, innovation and business development, a program that has forced me to look at creative and innovative opportunities that can help to promote Norwegian design. PO: Why “Fashion by Norway”? How did you get the idea? Hege: I noticed that there was a new wave approaching Norwegian design and I began thinking of ways in which I could contribute. I started Fashion by Norway to get an overview of Norwegian designers and their individual stories. I have chosen to focus on their background and what inspires them for their designs and collections. I also have music and Norwegian art on the blog because I think they complement each other and give an overall impression of ” the new Norway “. I believe that there is more room for Norwegian fashion and design in the market, both on a national and international scale. And I believe that now is the right time to do something about it. We have many established talented Norwegian designers who are well known here in Norway and abroad, but there is a big group of young, talented and fresh designers who deserve the same attention. Norwegian design have a unique way of saying; high quality, natural materials, craftsmanship and clean lines. There are also many forward-thinking designers who have social responsibility as a priority, and these designers can really help change the industry for a sustainable outlook. I am not alone in promoting Norwegian design, and there are many dedicated people who wants to see it grow into something bigger. A lot is happening at the moment and I think the industry is more than ready for it. Fashion by Norway started in September 2013 and it has already managed to attract readers from all over the world. We have received a lot of positive feedback from designers and readers who find the blog to be interesting, which certainly adds an extra motivation in the continuation to talk about Norwegian design. What are your favorite addresses in Oslo at the moment? 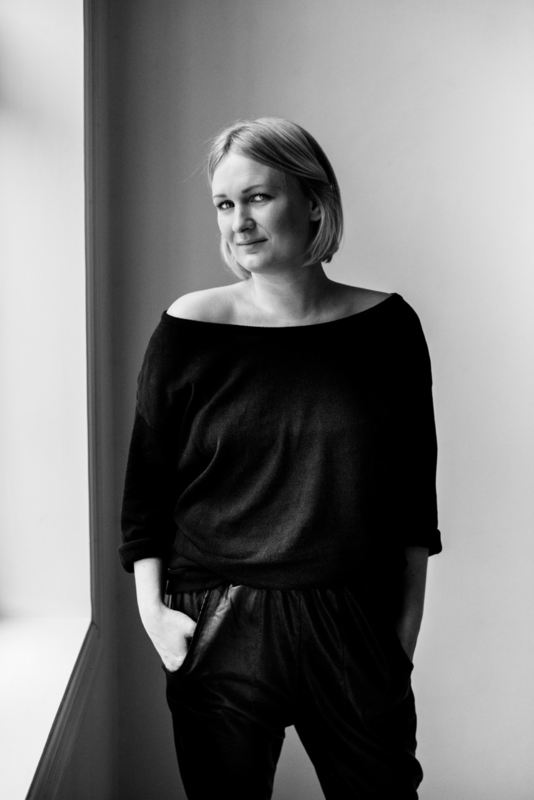 Hege: My favorite place in Oslo is Grünerløkka and St. Haugen where you can find cozy cafes and restaurants. I would also recommend stores as F5 Concept Store and Designer Kollektivet at Glassmagasinet, they represent a lot of talented young Norwegian designers. Also, be sure to drop by Norwegian Designs at National Theatre, EGER, T Michael and Norwegian Rain, and Freudian Kicks in the center of Oslo. PO: What are your favorite addresses in Paris? Hege: Paris is one of my favorite cities. During a short time, I experienced fantastic shopping, culture and art, met wonderful people and ate delicious food. Some of the places I visited was the nightlife street; Rue de la Roquette, Le Centre Pompidou Museum and vintage shopping in the stores; Chez Chiffons Vintage located at 47 Rue de Lancry and all around the 3rd districts. We also got to see the popular Sunday market; Marché aux Puces at Clignancourt. I hope to visit Paris again soon. This entry was posted in Blogger interviews, OsloDesign and tagged 3rd district, blogger, EGER, F5 Concept Store, Fashion, Fashion By Norway, Freudian Kicks, T Michael &Norwegian Rain. Bookmark the permalink.